It is surprising there are so many free applications that exist for all kinds of things in Ubuntu. 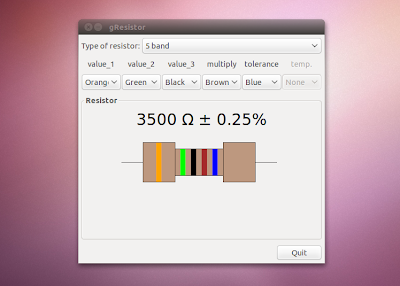 For anyone studying electronics, gResistor may be quite helpful. 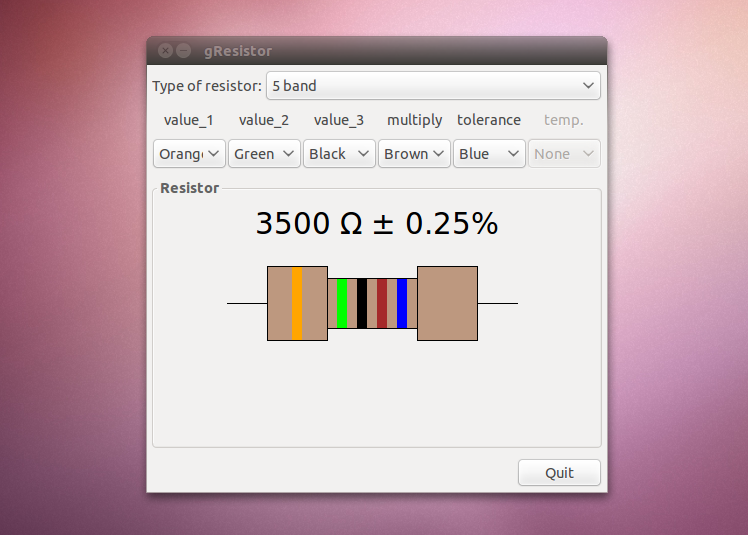 It is a simple application that allows us to test the value of a resistor by its color code. gResistor simply allows you to understand these codes which are are indicative of their resistance, tolerance and temperature coefficient. All you have to do is interpret the colors on entering the program. You may notice that the value of the resistance changes with the sequence changes that you select. This would have been so helpful in high school when taking electronics class back in the day. This is a simple and light program that is most helpful. Have fun!